The Southwest is all about the great outdoors and all of its mysteries, from Joshua Tree National Park to the wonders of the red towering desert in Utah to the giant saguaros of southern Arizona. Each of these places offers something special and unbelievable. When you witness it for yourself, Tucson, Arizona, is no exception. Its climbing is otherworldly, its hiking is jaw-dropping, and its tacos—oh man, its tacos. If you're looking for an adventure just north of the border, southern Arizona is the place to be in the late fall through early spring before the desert heat hits. Start your adventure at BOCA Tacos y Tequila. You'll want to end it there, too. Groundwork Promotions. With so much land to cover, let's highlight some of the most highly recommended trail and taco joints so you don't miss a thing. 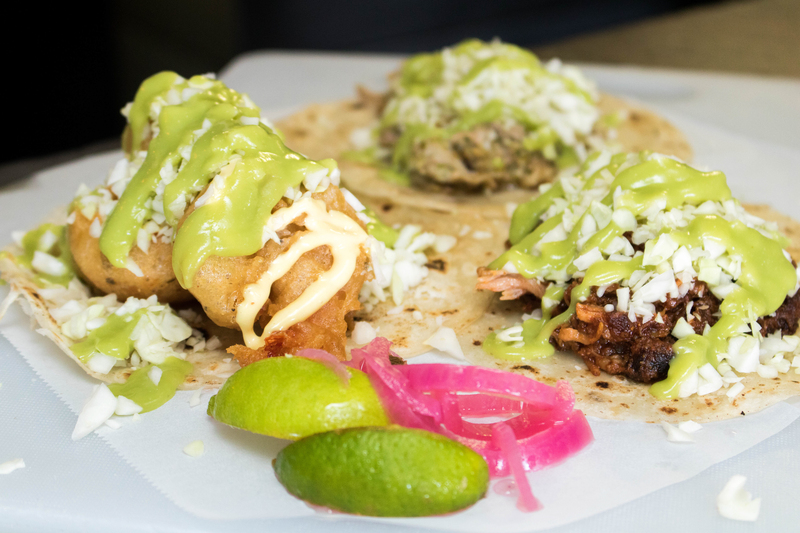 South along Highway 10 from Phoenix, Taqueria Juanitos is one of Tucson's most highly recommend taco spots by local foodies and highly trained chefs alike. Their tacos de cabeza is a must! A little farther south of Taqueria Juanitos, Tacos Apson is another highly recommended taco stop you should try on your way back from your next adventure. But don't you dare sleep on BOCA Tacos y Tequila, which features not only incredible authentic Mexican food, but their homemade salsas are a highlight as well. Now that we have our stomachs filled, lets get some blood pumping in our legs, shall we? Thoughts drift to tacos while standing above Tuscon on the highest point in the Santa Catalina Mountains. Denis LeBlanc. Tucson has no shortage of open land and big skies accessible to the public. The drive up the scenic byway on Mount Lemmon is sure to highlight Tucson and all of its splendor. Be sure to stop at Windy Vista Point for sunset on your way back down the mountain. Tucson is known for its beautiful sunsets, and this viewpoint sets the bar high. On Mount Lemmon are a variety of campgrounds to chose from, such as General Hitchcock or Rose Canyon Campground, if you wish to spend more time up there. A wonderful break from the summer heat, this 9,000-foot mountain provides sanctuary for humans and wildlife alike. With little human development in the area, Summerhaven and Mount Lemmon Ski Valley Resort, Mount Lemmon is excellent bear and mountain lion habitat. As in any wilderness area, be mindful of your surroundings, and change paths when spotting either of these magnificent creatures on or near the trail to avoid surprising them suddenly. (Making noise and letting them know you're there well in advance is very helpful as well.) 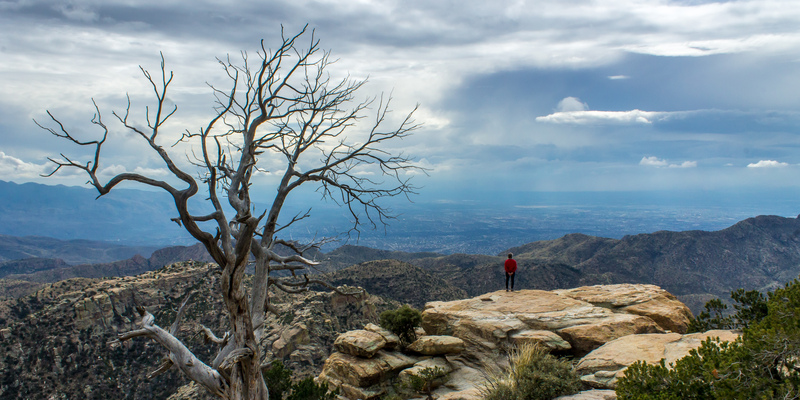 With climbing, mountain biking, road biking, camping, hiking, and skiing opportunities, Mount Lemmon is a super hub for Tucson's outdoor enthusiasts. 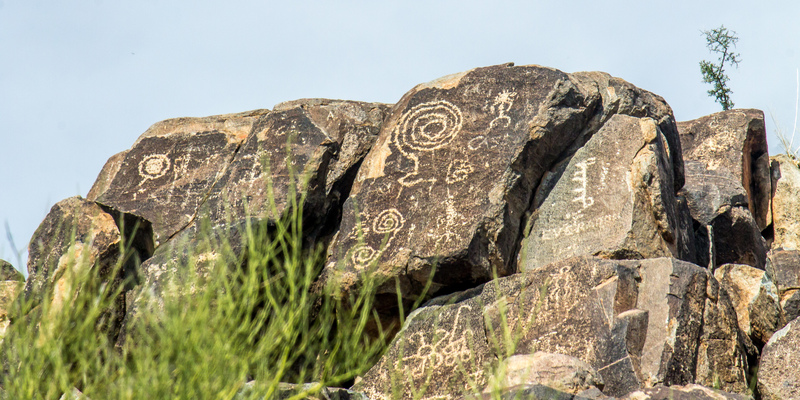 Ancient petroglyphs at Signal Hill. Their meaning is unknown. Denis LeBlanc. South and southwest of Mount Lemmon is a very different kind of landscape. Saguaro National Park is divided by the city of Tucson into east and west divisions, known as the Rincon Mountain District (east) and the Tucson Mountain District (west). Although Tucson Mountain District is highly trafficked, Bajada Nature Loop being one of its most popular hikes, I would recommend the Rincon Mountain District (west) for its vastness and variety if you were to chose only one location to visit. With its giant saguaros, weighing up to 4,800 pounds when full hydrated, its abundant desert wildlife, its ancient petroglyphs, and its 91,000+ acres of protected land, Saguaro National Park is all that is Arizona and more. Overlooking Bear Canyon, one of nature's tacos. Loreah Winlow. Other hiking and biking adventures in the Tucson region include, but are not limited to, Bear Canyon to Seven Falls Trail, Sunset Point Trail, Wren Arena, Wassun Peak, Cooper Loop, and much more. 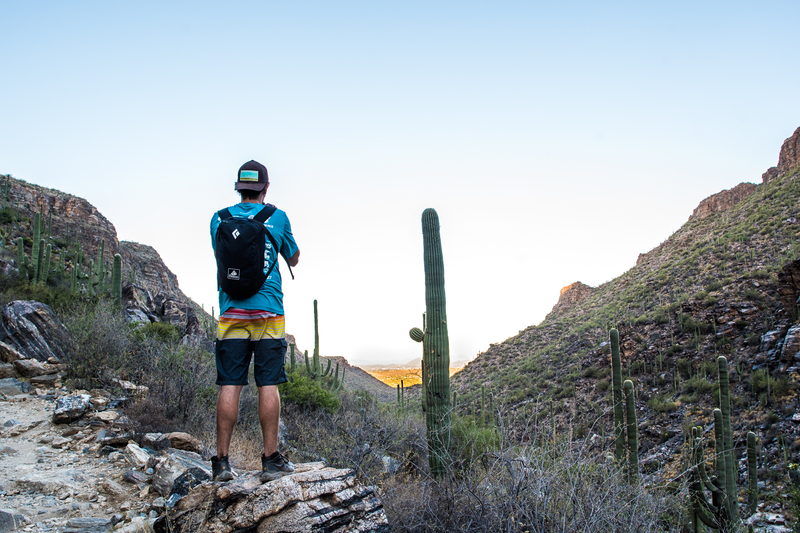 With no shortage of outdoor fun—and lest we forget, tacos to die for—Tucson is an outdoor enthusiast's dream for year-round activities.